To increase our offering of high-quality process equipment, we now supply mixers for the Food, Chemical, Cosmetics and Pharmaceutical Industries. In order for us to supply the industry with leading products, we are always keen to work with reliable and established partners. Our partnership with PMS allows us to offer tailor-made solutions through CFD, constantly-improving mixing calculation tools and consistent experience in order to meet the specific needs of customers for new equipment or upgrading existing fleets and customer service. The Tandem model allows different sealing systems to be installed in accordance with the application. They can work with products such as distilled drinks, juices, dairy products, syrups, creams, gels, colognes etc. 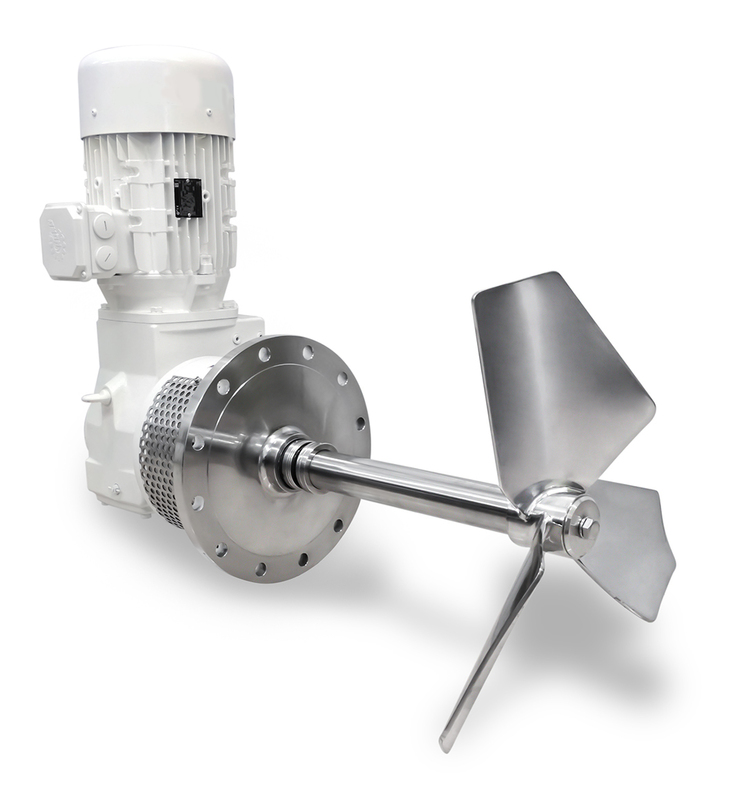 Lateral agitators are highly suitable for maintaining and mixing products stored in medium and large volume tanks. The design allows high level of homogenisation of the mixture, which why they are extensively used in the food industry, especially in the dairy industry. IBC vertical agitators are widely used in the pharmaceutical industry because of their high performance and efficient agitation plus their low cost. The IBC design changes in line with agitation characteristics and application requirement, with one or more impellers of the same or different kinds being used to provide the agitation required for each system.